Easy to pull on over your jeans. Pack down small to carry on your bike for when you get caught in the rain or to block out the cold, great for everyday use riding to work, weekend rides or to take on a long ride. You are invited to enjoy the high quality of our fabrics, excellent workmanship and affordability of our Aussie Motorcycle Chaps, 100% Australian made in our own factory located at Slacks Creek, Brisbane, Australia. Features of our Aussie Motorcycle Chaps include: ► Made from excellent quality Oilskin fabric (see tab above A..
Ride in the rain? Want to stay dry? 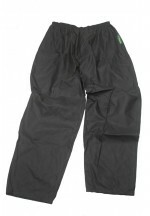 Wear our Aussie Motorcycle Overpants over your jeans to keep you dry and cut out the cold wind. You are invited to enjoy the high quality of our fabrics, excellent workmanship and affordability of our Aussie Motorcycle Overpants, 100% Australian made in our own factory located at Slacks Creek, Brisbane, Australia. 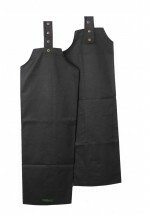 Features of our Aussie Motorcycle Overpants include: ► Made from excellent quality Oilskin (see tab above to learn All about our Oilskin fabric) ► Spe.. 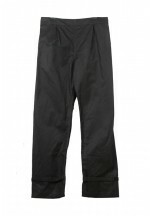 Prefer closer fitting wet weather overtrousers? Then our Aussie Motorcycle Overtrousers are for you. 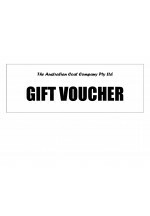 You are invited to enjoy the high quality of our fabrics, excellent workmanship and affordability of our Aussie Motorcycle Overtrousers, 100% Australian made in our own factory located at Slacks Creek, Brisbane, Australia. Features of our Aussie Motorcycle Overtrousers include: ► Made from excellent quality Oilskin (see tab above to learn All about our Oilskin fabric) ► Specifically developed for m..
What do you do in the rain? Working? Fishing? Walking the dog? Watch sporting games? 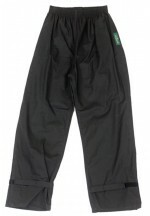 Our Aussie Overpants can be worn over your shorts or long pants to keep you warm and dry. You are invited to enjoy the high quality of our fabrics, excellent workmanship and affordability of our Aussie Overpants, 100% Australian made in our own factory located at Slacks Creek, Brisbane, Australia. Features of our Aussie Overpants include: ► Made from excellent quality Oilskin or Durapel (see tab above to learn All about ..
Semi-fitted so look good over your jeans. We sell a lot of these to people who work on farms and properties and want to stay dry when the weather or long grass is wet. You are invited to enjoy the high quality of our fabrics, excellent workmanship and affordability of our Claybourn Overtrousers, 100% Australian made since 1910 in our own factory located at Slacks Creek, Brisbane, Australia. 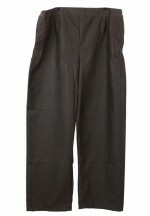 Features of our Claybourn Overtrousers include: ► Made from excellent quality Oilskin or Durapel (see tab above to learn All about our Oilskin an..
Stockmen and farmers love our chaps style overtrousers. You are invited to enjoy the high quality of our fabrics, excellent workmanship and affordability of our Claybourn Stockyard Leggins, 100% Australian made since 1910 in our own factory located at Slacks Creek, Brisbane, Australia. Features of our Claybourn Stockyard Leggins include: ► Made from excellent quality Oilskin or Durapel fabric (see tab above All about our Oilskin and Durapel fabrics) ► 2 separate trouser legs which attach to belt o..